Back row, l. to r.: Tiffany Wong; An-Ya Olson, Abigail Kent, Se Hee Hwang, Suemin Yoon, Christy Yeung, Elizabeth Yeoh-Wang, Ziyuan Ong; front row, l. to r.: Belle Divine, Isabella McCormick, Marie Handy. 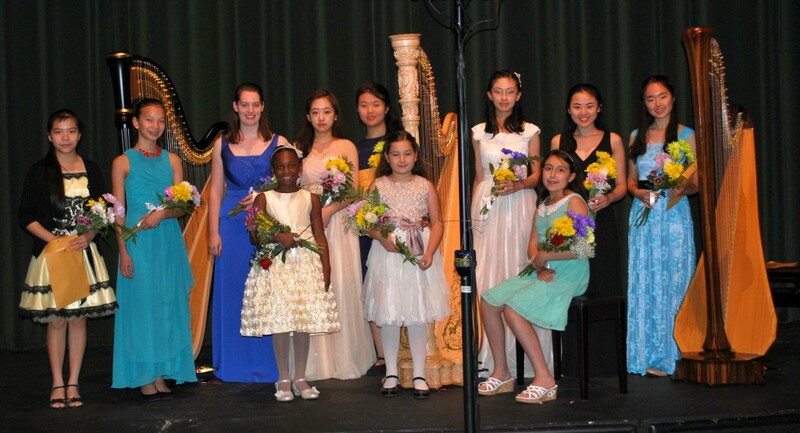 The fourth Young Artist’s Harp Competition took place Jul 3 and 4, 2014, on the campus of the Rabun Gap Nacoochee School in Rabun Gap, Ga. The ages and locations of the competitors reflect the date of the competition.